The tangy pop of rhubarb – balanced by the exotic warmth of roasted ginger – wakes up a spicy-sweet sauce for grilled tilapia. 1. 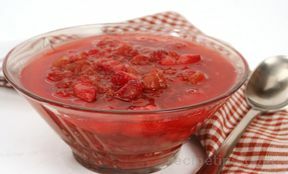 For the Rhubarb Sauce, microwave rhubarb in medium microwavable bowl on HIGH 1 to 2 minutes or just until thawed. Add pineapple, lime juice, chili sauce, cilantro and ginger; toss to mix well. Set aside. 2. Mix sesame seed, sea salt and pepper. Brush fish with oil. Sprinkle with seasoning mixture. 3. 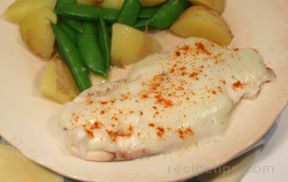 Grill over medium-low heat 4 minutes per side or until fish flakes easily with a fork. 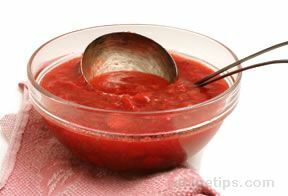 Serve with Gingered Rhubarb Sauce.